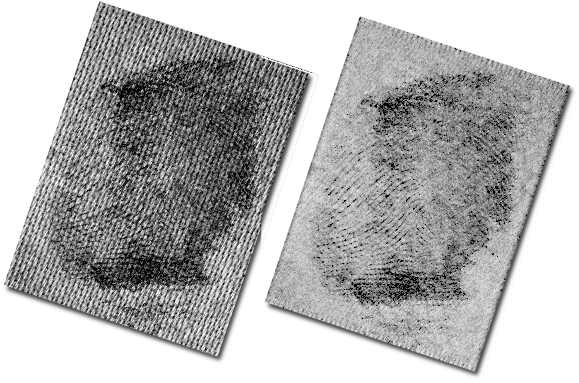 samples and successfully used digital enhancement techniques to remove the texture created by the fabric weave. Over the years we have tested numerous fabric samples using, DFO, Amido Black, Coomassie blue, Hungarian Red and Luco Crystal Violet. 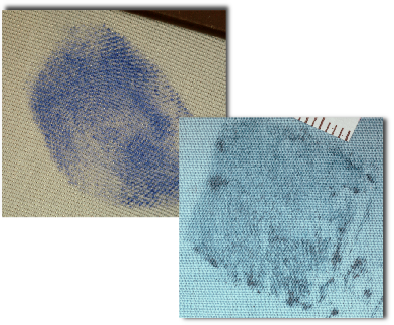 We have found that both Amido Black and Coomassie Blue produce excellent results. Expert analysis of the exhibits to determine if they are suitable for chemical treatments. Assessment of the material type to advise on the most effective chemical process. Chemical treatment of the exhibits. Training for your Laboratory staff on the application of the chemical Processes.